Troels Jacobsen was born in 1971 in Denmark where he studied biology at the University of Southern Denmark, Odense. His studies were focused on animal behaviour and marine mammals and ended with a Master of Science (M.Sc.) degree in 2001 on neonate Bottlenose Dolphin behaviour. Throughout his life he has had a sincere and keen interest in nature, particularly in the field of marine mammals. The day after defending his Master's he left for Iceland and worked there as a whale watch guide eventually leading more than 500 whale watch trips from Keflavik on the South West coast. Based in Odense, Denmark, Troels has worked as a freelance expedition leader, guide, lecturer, zodiac driver, for Oceanwide Expeditions, Holland, on almost all their different trips in Iceland, Svalbard, East Greenland, and Antarctica as well as the Atlantic Odyssey. 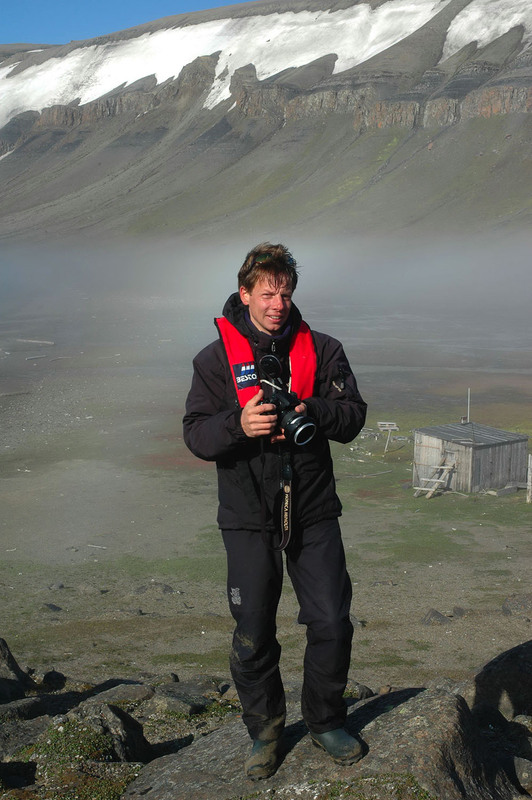 From 1 April 2012 Troels has accepted the position as Product and Sales Manager for Oceanwide Expeditions. Between seasons he has often been engaged in scientific research.